Davis, the fired investigator, says he would be glad to meet with Fairley and would welcome her review of his findings. The new chief of the agency that looks into shootings by Chicago police officers says she wants to hear out an investigator who was fired by her predecessor last July after refusing orders to change findings that the cops were at fault in several cases. Sharon Fairley, acting chief administrator of the Independent Police Review Authority, last month reached out to the investigator, Lorenzo Davis, a former Chicago police commander. Davis’s lawyer, Torreya Hamilton, said an attorney with the city’s Law Department called two weeks ago to set up the meeting. Hamilton said Davis, who is suing the city for wrongful termination, is eager to meet with Fairley. The sides have not yet set a time and place. Fairley, a former federal prosecutor appointed a month ago by Mayor Rahm Emanuel, said she also wants to examine the work that got Davis fired. 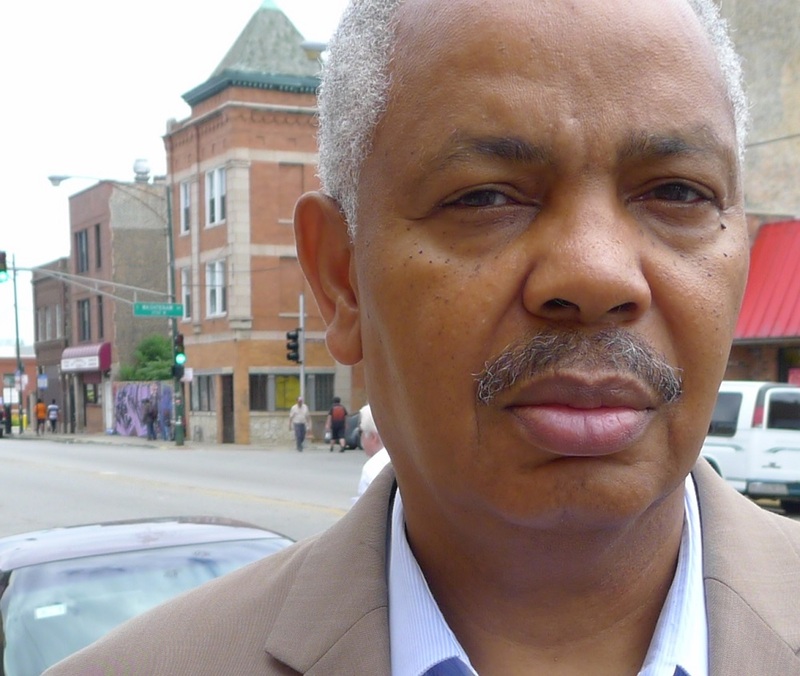 WBEZ revealed Davis’s termination and his resistance to orders by IPRA superiors that he change findings about at least a dozen incidents, all shootings or alleged excessive-force cases. Davis, who joined IPRA in 2008 and was promoted to supervise a team of investigators, said he is also eager to provide Fairley his appraisal of the agency. “There is a culture of viewing all cases in the light most favorable to the police officers,” he said. Another step, Fairley said, is restructuring the agency’s 90-member staff. The shakeup will involve new hires, including chief of staff Annette Moore, former associate director of admissions at the University of Chicago Law School, and chief investigator Jay Westensee, who is leaving a similar job with the city’s Office of Inspector General. Fairley’s predecessor, Scott M. Ando, was forced out as IPRA’s chief administrator after heading the agency since 2013. Ando, a former U.S. Drug Enforcement Administration agent, filled several key IPRA posts with former sworn law-enforcement officers, including two other former DEA agents, a WBEZ investigation found. Fairley also insisted she is independent from Emanuel despite a pile of email messages that show coordination between his aides and IPRA in recent years. Fairley said she is also overhauling IPRA’s legal team and searching for a general counsel. Eric M. Muellenbach resigned from that post last week after more than six years at the agency. She said IPRA has not received any budget increase for the staff changes but needs more resources and would be requesting a funding increase. To help make that point, Fairley turned to IPRA’s latest shooting investigation. She described 911 recordings about a December 26 domestic disturbance that led to an officer’s fatal shooting of Quintonio LeGrier and Bettie Ruth Jones on Chicago’s West Side. That investigation could face intense scrutiny. Relatives of LeGrier and Jones have filed wrongful-death lawsuits against the city. IPRA has come under increasing fire since the city’s November 24 release of a police dashboard-camera video showing a white officer shooting to death Laquan McDonald, 17, in 2014. A national outcry about that video led Emanuel to fire the city’s police superintendent and replace Ando with Fairley. The U.S. Justice Department, meanwhile, began a civil-rights investigation of the police department, its use of deadly force, and measures to hold officers accountable. Of more than 400 civilian shootings by police that IPRA has investigated over the last eight years, the agency has found the officers at fault in only two incidents, both off-duty, according to IPRA figures. The agency has never concluded that an on-duty shooting was unjustified. Fairley has turned over IPRA’s investigation of the McDonald case to the Inspector General’s office and reopened a probe into the treatment of Philip Coleman, 38, who died after Chicago officers repeatedly used a Taser on him in a police lockup and dragged him out of his cell by handcuffs in 2012 — another incident caught on videotape. IPRA found that the officers’ actions were justified. If Fairley pushes IPRA to be tougher on abusive officers, she could face resistance within the agency, which was part of the police department until 2007. Besides Ando’s hires, some investigators have close ties to law enforcement, including family relationships with Chicago officers. And, since at least 2012, the only training IPRA has provided for investigating shootings has been led by a controversial psychologist who often testifies in support of officers, WBEZ revealed. Some critics say IPRA is beyond repair and should be replaced by an elected council.